BRYAN EATON/Staff photo. Students in Kristen Mollineaux's class at Newbury Elementary School have been making gifts for parents in art class and regular classroom time. 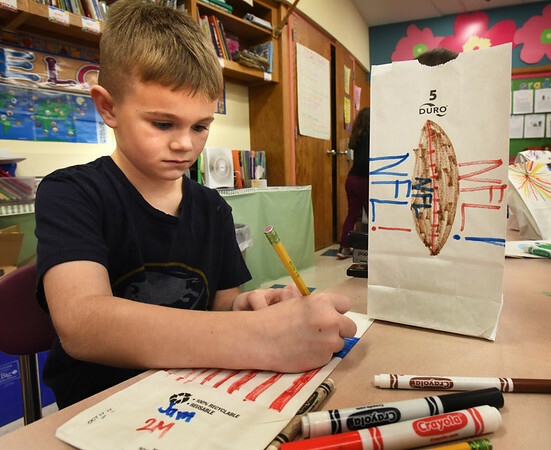 This week they decorated the bags they put them in, Sam Harding, 7, using NFL designs, he being a Buffalo Bills fan and will be seeing family there on Christmas.